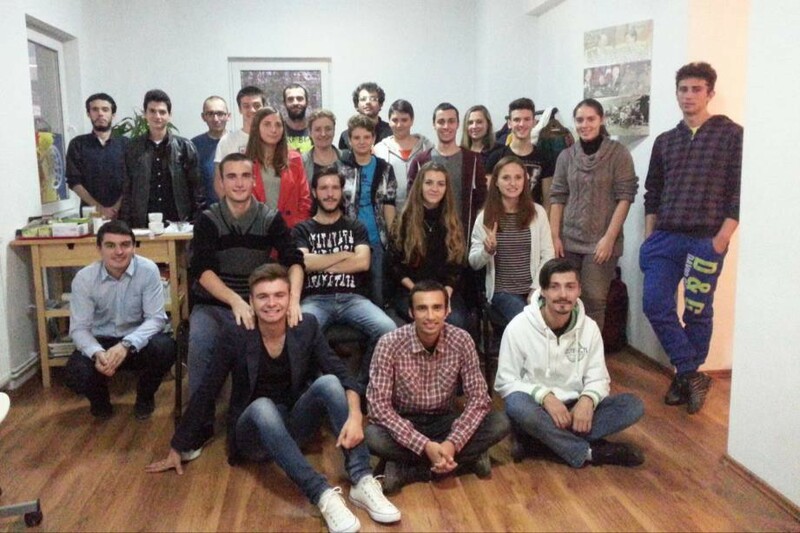 By CARP Romania, October 2, 2015: We are sending our biggest love from Romania – CARP Center in Bucharest, where last Friday, on the 2nd of October 2015 we organized such an interesting and deep discussion about our conscience while hoping that each of the participants could wake up a little bit. More than two hundred years ago, one of the greatest philosophers of all time, Immanuel Kant, was saying: „Two things fill my soul with always renewed and growing admiration and respect, the more I think about them: the starry sky above me and the moral law within me.” In today’s society, even if there is an official law as much as a moral, unwritten one, the decision to respond to evil with goodness and to respect the ones around us, is completely up to each of us. This inner voice has been named Conscience and we wanted to discover how we can enable it to be active in our decisions and actions. How to educate our conscience in order to bring it to a higher level? Is the religion we follow today capable of awakening humanity’s sleeping conscience? Do we have a philosophy that possesses such content? The first idea “brought to the table” was that we don’t need to educate our conscience, because it is already there. The downside is that it’s affected by the social environment. The conscience is just like a plant. It is what comes from the outside that sometimes makes it dry out and die. And there’s a similar situation with fallen people that cannot listen to their conscience so easily. About the second question it was said that not religion but faith has the capacity of reviving people’s conscience and we underlined the idea that all religions share the same conscience, the same fundamentals, the same values just that they gain a certain, specific appearance due to the place or the traditions in which people have developed that belief. And so, from this circumstance problem appear concerning our view and affiliation to a religion. Another perspective said that the conscience is God-given, enabling us to improve and ultimately realize our full purpose as God intended. It must constantly struggle, however, against the self-centered desires of the body. It is possible to speak of a corrupted conscience, because upbringing and education can affect its judgment. To indoctrinate the conscience with false judgments of right and wrong is indeed of the worst defilements of the human spirit. The second person that shared their team’s main ideas stated that we have an emotional conscience and a logical – rational conscience that dictate what we should do at certain times in our lives. Secondly, concerning religion it was said that there is too much manipulation and doctrine, which make religion lose its essence. This is not an issue concerning only the Christian church but it’s everywhere, making us lose the meaning of spirituality. We believe that this meeting was very significant and that it can be a good topic even for future HoonDokHae sessions. We hope that this kind of event can break boundaries and self- made limitations and that it can open a door towards the true heart of man. With prayerful hearts and gratitude, Romania CARP brothers and sisters.